The CROSS Appeal provides the opportunity to each and every congregation of our Minnesota North District and within that, to each and every member of those congregations, to have a hand and a part in providing a quality Christ-centered education to all of the children enrolled in one of our Christian Day Schools by sharing a financial gift. When a gift is given to the CROSS Appeal, that entire gift is then equally divided among our schools. Each of our schools, in turn, uses your gift to strengthen their school’s educational ministry in a way which otherwise would not have been financially feasible for them. In essence, each gift to the CROSS Appeal is a blessing from God to each of our schools. Making it even more personal, each gift to the CROSS Appeal is a blessing from God to each of the children attending our schools! 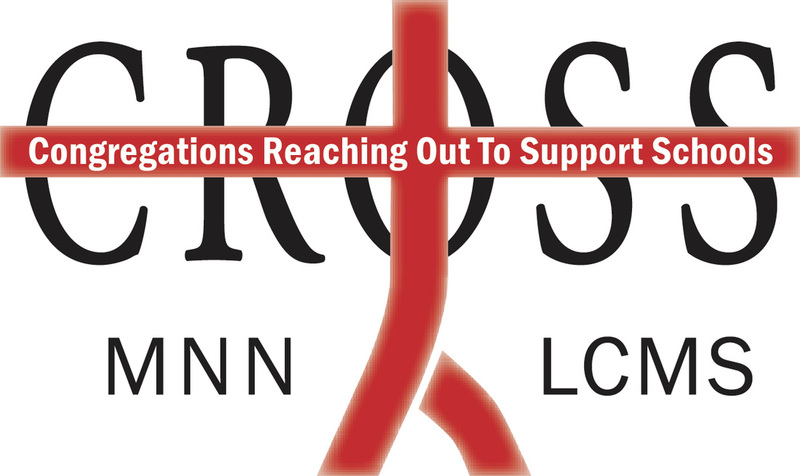 Gifts to the CROSS Appeal may be given at any time throughout the year, through your congregation or directly to MN North District LCMS. Congregations may choose to hold a CROSS fundraising event or a CROSS Sunday, where a special offering will be taken to support all eight of our MN North District schools. education at Immanuel Lutheran School? Since the inception of the CROSS Appeal in 2013, Immanuel has received funds totaling $4,590. These gifts have helped us purchase much-needed magnetic white boards for our K-3rd and 4th-8th grade classrooms, new routers to upgrade our internet access to all the classrooms. The 2015 CROSS gifts, along with a $2,500 WAF grant, helped fulfill the need for 15 new laptops to utilize our new online curriculum through Ignitia. 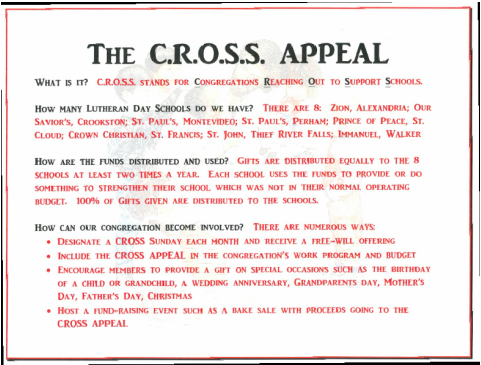 $625 was also given to each of our MN North Schools to jumpstart the promotion of the CROSS Appeal. These funds were used to setup our new school website, as an effective way to communicate to those who wish to learn more about the ministry of Christian Education at our school.